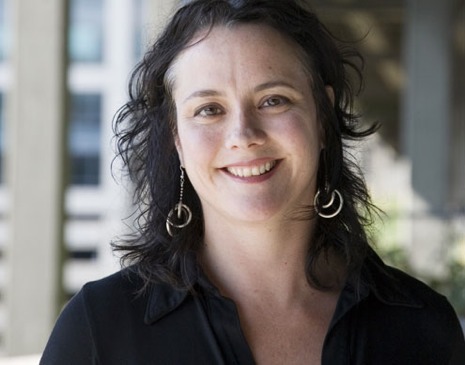 Cary Moon, the founder of the People’s Waterfront Coalition in Seattle, and one of the country’s premier advocates for alternatives to wasteful highways, wrote me this week about the progress she and her colleagues are making to replaced the elevated Alaskan Way Viaduct with a less expensive, neighborhood conserving, energy efficient alternative. Ms. Moon has been advocating just that. She is convinced that the best solution for moving people and goods north and south along Seattle’s waterfront is to replace the aging and earthquake-damaged viaduct with a waterfront park, a boulevard, and re-establishing the grid network of local streets. It’s certainly the least expensive alternative, likely to cost billions less than replacing the elevated six-lane highway with a new structure, or building an even more expensive tunnel. When it was opened in 1953, the 2.2-mile-long viaduct (see pix above) represented the country’s economic development priorities, providing drivers efficient routes from the central city to growing suburbs. Similar shoreline freeways were built in New York, Boston, San Francisco, Portland, Cleveland and other cities. But in the early years of the 21st century, Seattle’s old wall of concrete has come to be viewed as a barrier to the city’s quality of life. The viaduct has been accused of various civic offenses, including separating residents from easy access to natural resources, especially a spectacular shoreline. Ms. Moon’s critique of the viaduct reflects new thinking at the grassroots about the sanest way to move people and goods. For all intents and purposes, the era of massive highway building is nearing its end in the United States as construction costs soar well beyond the ability of the federal and state governments to pay. Highways are not only seen as bad investments, they also are accused of impeding local economies and diminishing the urban experience. Why” Because they are so intrusive, ecologically damaging, energy inefficent, and generally do nothing to relieve congestion. This is essentially the argument that Ms. Moon has been making for several years. Though Washington State’s Big Three lawmakers haven’t yet conceded she is right, the announcement this week indicates that they are moving in Ms. Moon’s direction. And why not? Seattle is setting new trends in public policy that promotes walking, biking, new transit options, mixed use development, curbing on street parking, progressive zoning that promotes a mix of housing types, and other steps that have turned it into one of the most prosperous urban landscapes in the world. 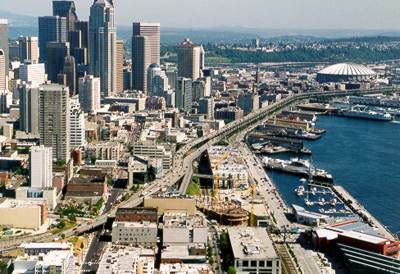 An obsolete idea, like a $6 billion (or more) highway or tunnel just doesn’t fit into Seattle’s 21st century plans.